Michael B. Jordan steps into the ring once again as heavyweight boxer Adonis Creed in Creed II, a sequel to the 2015 film that was itself a reboot of a franchise that seemed to be down for the count but still had some fight left in it. While there are few fresh concepts or challenging ideas in this new entry, it willingly serves up the familiar pleasures and tropes that we commonly associate with boxing movies and specifically with the Rocky films of the past. 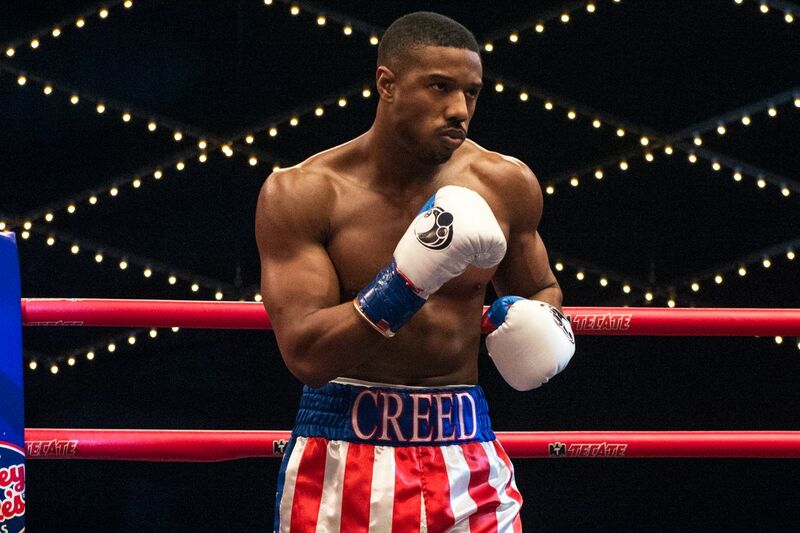 Taking over for Ryan Coogler after his success with Marvel’s Black Panther, director Steven Caple Jr. isn’t able to match the rich emotional depths found in Creed although the fight scenes are often just as thrilling. We’re re-introduced to Creed as he’s in the middle of hot streak, on the precipice of becoming the world heavyweight champion with his mentor Rocky Balboa (Sylvester Stallone) and his fiancé Bianca (Tessa Thompson) in his corner. We soon learn there’s trouble brewing in Ukraine as Ivan Drago (Dolph Lundgren), the boxer who killed Creed’s father Apollo in the ring during the events of Rocky IV, has been relentlessly training his son Viktor (Florian Munteanu) to overtake Creed on the world boxing stage. With the legacies of their fathers inextricably linking the two boxers together, Creed and Drago take to the ring in an all-or-nothing brawl. As is to be expected, there are plenty of callbacks to past Rocky films and particularly to Rocky IV, although the tone of Creed II is thankfully much more grounded in reality than most of its predecessors. The chief issue this time around is that the overall narrative arc is painfully predictable from the first frame and save for a few notable character moments, Caple Jr. does little to stray from the formula that has worked quite well in the past. Still, he hits most of the familiar story beats with gusto and by the time we’re in the ring for the big fight, the groundwork that has been laid out is sufficient enough to root for our protagonist. The script, co-written by Stallone along with Juel Taylor, spends plenty of time fleshing out the relationship between Creed and Bianca, which is a smart move given how much chemistry Jordan and Thompson have on-screen. However, I wish there had been more time dedicated to the Drago family and the tragic backstory that contributes to their presence in this film. A pivotal scene in Russia between Ivan and Viktor is a poignant reminder of just how separated they feel not only from one another but also from their own country as well. I wish Caple Jr. had taken more opportunities like this to balance the struggles of the hero with the villain. Still, fans of boxing movies will find plenty to enjoy in the both the training montages (including a sequence in the desert with some memorable imagery) and the pair of electrifying fight scenes between the two heavyweights. Caple Jr. shoots these scenes with an appropriate level of visual verve and stages the action in a way that nicely juxtaposes Creed’s quickness against Drago’s seemingly insurmountable strength. Creed II is a serviceable entry in the Rocky franchise that doesn’t do as much as it could have done to distinguish itself from the pack but also isn’t the total letdown that it could have been either.